This application is to be completed by all volunteer applicants. The information will help to ensure a safe and secure working environment. 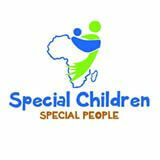 14) SCSP has a rehabilitation center housing vulnerable children for special needs education, but it also does community outreach in the rural areas of Uganda to empower parents and community as well as sensitizing them to issues around living with disabilities In order to understand you better, let us know your areas of interest whilst in Uganda. 15) What level of experience do you have working with special needs children? 16) What level of contact would you like to have with the children? 17) Which age group are you best matched to assist? 18) What knowledge do you have about issues concerning child abuse? 19) How long do you plan to volunteer? 20) Do you have any special day (e.g. birthday, anniversary, etc) that we can celebrate with you during your stay with us? 21) Do you have any physical handicaps or conditions preventing you from performing certain types of activities relating to children work? 22) Do you have any special talents that you would like to share at the school? 23) Uganda is a popular tourist spot for Safari thus it is our practice to schedule a Wild Life Tour toward the end of your stay. Note: This is a prepaid event. Therefore, we must gauge interest in order to make reservations. Do you have interest in this event?